Both earthquakes had been reviewed by the USGS. 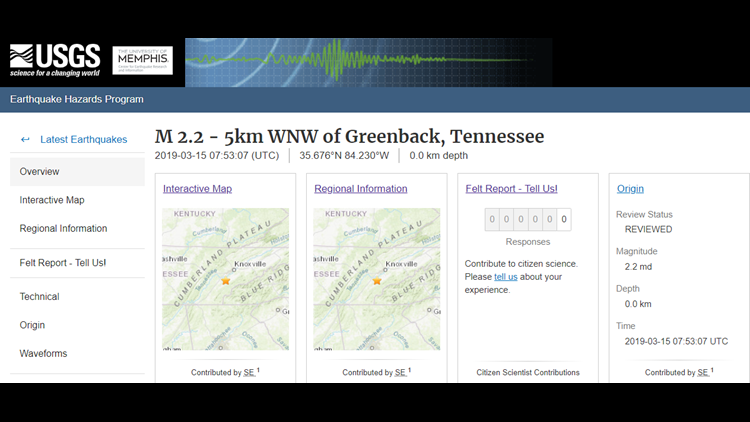 GREENBACK, Tennessee — A 2.3 magnitude earthquake hit near Greenback, Tennessee, around 2:20 a.m., a 2.2 magnitude followed at about 3:50 a.m, and a 2.1 magnitude came at 10:08 a.m., the United States Geological Survey said on its website on Friday. 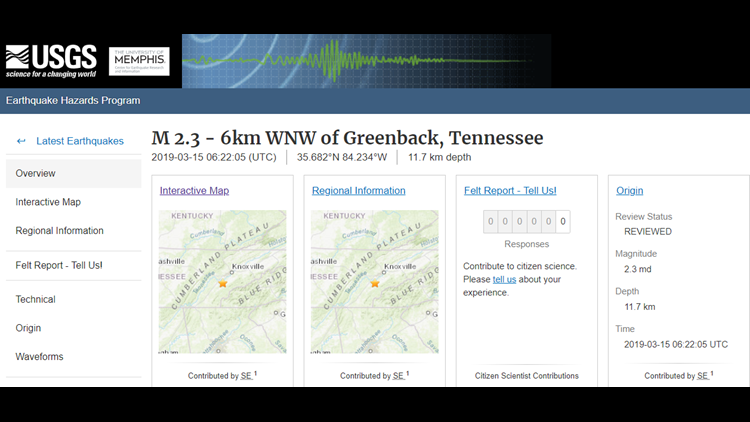 The 2.3 magnitude was six kilometers away from Greenback, and the 2.2 magnitude was five kilometers away, the USGS said. The 2.1 was five kilometers away. The 2.3 magnitude was 11.7 kilometers deep and the 2.2 was registered as having a 0.0 kilometer depth. All three earthquakes had been reviewed by the USGS as of 10:30 a.m. Friday.